Richard Parsons Jewellery and Silver is dedicated to the possibility of offering quality and originality. Whether a customer seeks to buy a new, secondhand or antique item our aim is to engage the purchaser as closely as possible with any purchase. The request might be in the formation of a collection or additions to one that already exists. If a new item is commissioned, any design will be made by the most skilled hands, using the best quality materials. Recently moved from Hatton Garden, Richard Parsons Jewellery and Silver has supplied some of the finest objects to our clients, both in the UK and overseas. We specialise in early antique silver but also contemporary work by the most notable craftsmen and women. Please feel free to browse this site and explore the possibilities on offer. Can there be a more interesting experience than being involved in the creation of your own piece of fine jewellery or silver? The creation of a bespoke item is usually commenced by a series of sketches. The smallest detail can be considered before work starts and it gives the opportunity for the customer to be involved in the design process. If it is a piece of fine gem set jewellery, the precious stones are traditionally set up in a wax display; a silver commission can be accompanied by a model. Our aim is to solve problems and careful consideration is always given to initial research, size, quality of material and price. Design, craftsmanship and service unite to form a trio of excellence. Click on the images below to see some of the possibilities on offer from Richard Parsons and his team. The ring shown on this page comprises of 12 carats of white diamonds that were specially cut to form a perfect circle of light. 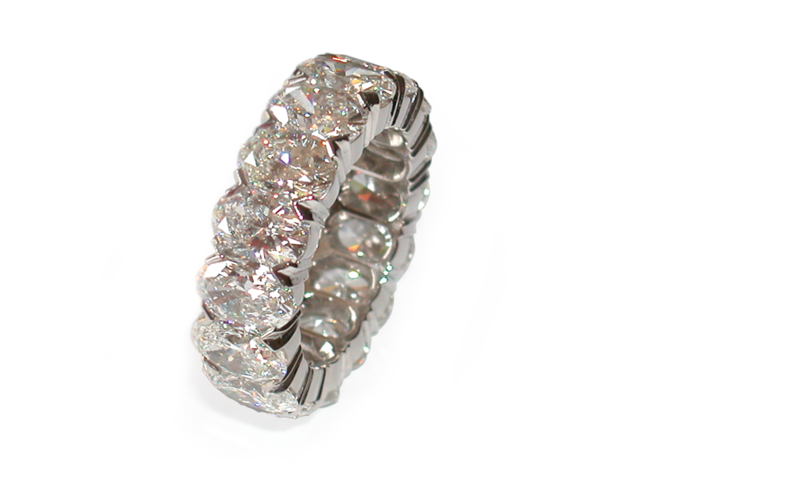 The platinum mount was made to be almost invisible so that the diamonds float on the finger. This was just one of the recent rings that have been made by the team. Feel free to get in touch with the team if you would like to find out more. A single diamond on the ear is stunning. Whether your ears are pierced or not it is possible to wear diamonds that form stars of light. 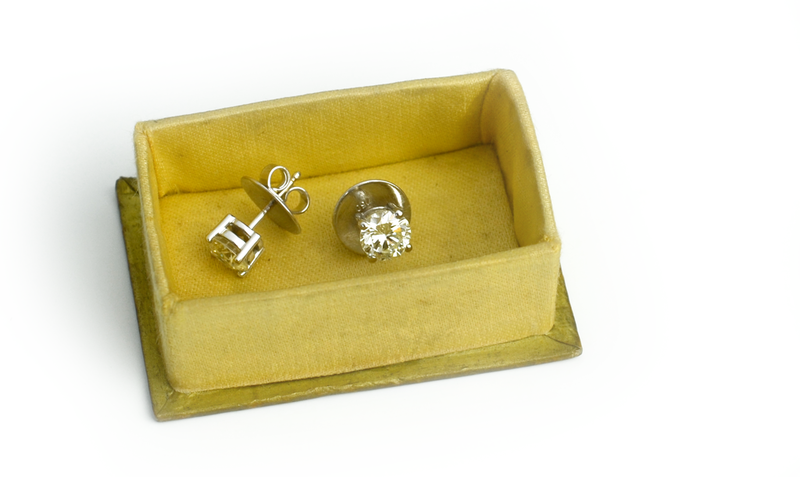 The earrings can be made of gold or platinum or a mixture of both; the diamonds can be of any size or quality. This is the beauty of bespoke design. Imagination is the key. Feel free to get in touch with the Richard Parsons team if you would like to find out more. 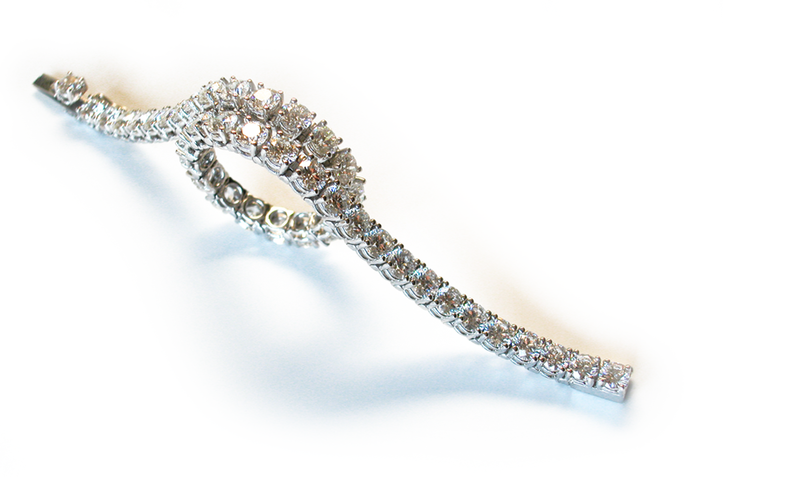 50 round diamonds, mounted in a ribbon of 18-carat white gold, forms one of the most effective items of jewellery. You might prefer baguette or emerald cut diamonds, or even ovals or princess cuts, they all look beautiful. Is it to be a round or pearl-shaped diamond? 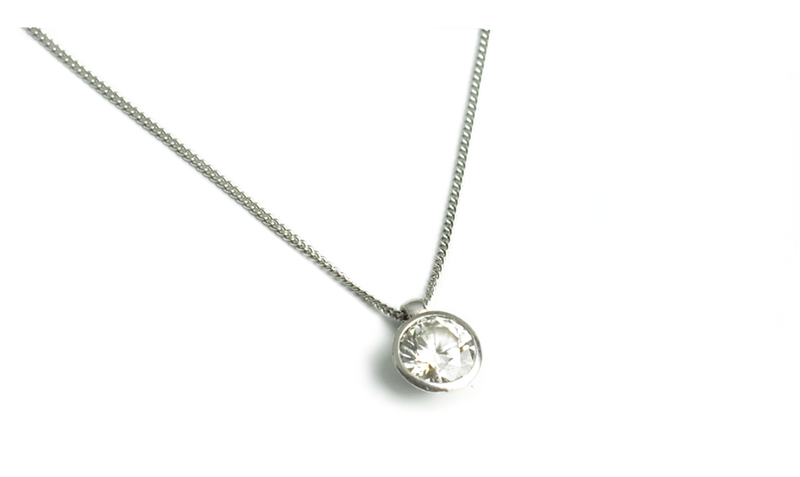 A diamond pendant can be worn on any occasion; it is almost an item of everyday jewellery. Designs can be prepared for anyone and it is often the simplest design that is the best. The element silver has been known to civilization for thousands of years as a precious metal. When worked to form articles it is malleable, durable and lustrous. The following pages illustrate some of the recent articles that have been either produced as new designs or that have passed through the business. 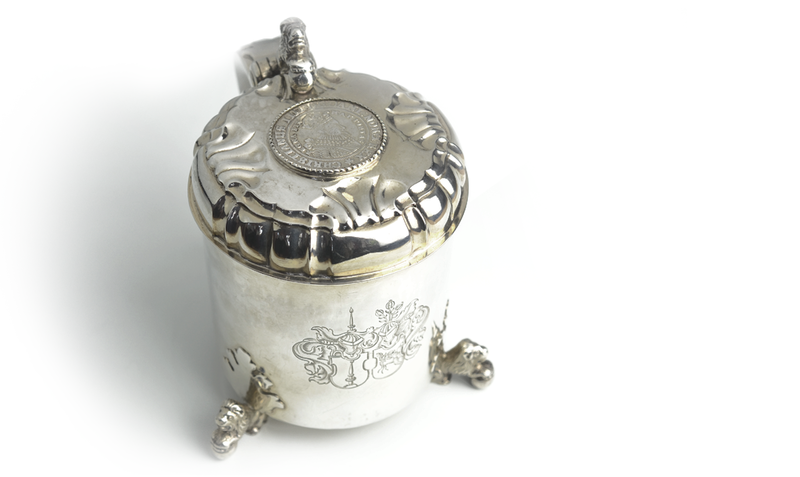 In the past, fabulous items have been made in silver. Richard Parsons Jewellery and Silver offer a full collectors service and handle a wide range of valuable antiques including a valuation service both for sale and insurance. We offer you advice on collecting and the maintenance of precious objects. Independent advice can also be given on saleroom purchases. Richard Parson's team of craftsmen have made silver balloons, figures and models of every type; even silver crabs. The more usual domestic items of tea sets, candlesticks and salvers also have their place. 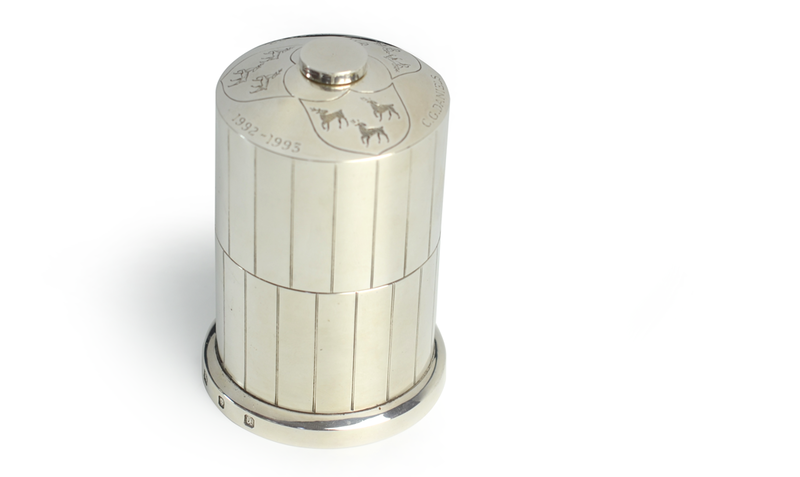 Designs have been prepared for pepper mills, saltcellars, mustard pots, gin bottles and even models of electrical switch gear, the potential is endless. Advice can be given on saleroom purchases and the collection of contemporary items from recent and current designers. There is more yet to do... The creation of any item in precious metal needs an awareness of the eventual use. The designer needs information from the customer, whether the design is for an item of fine diamond jewellery, or a commission in silver. Richard Parsons has worked for many years as a retail goldsmith and offers his practical knowledge, for a bespoke design service, to a wider market. For twenty years he was a partner of Tessiers Ltd, the famous London Bond Street jewellers, before establishing a consultancy business in all aspects of the jeweller and silversmith's art, and has recently moved form his Hatton Garden office.